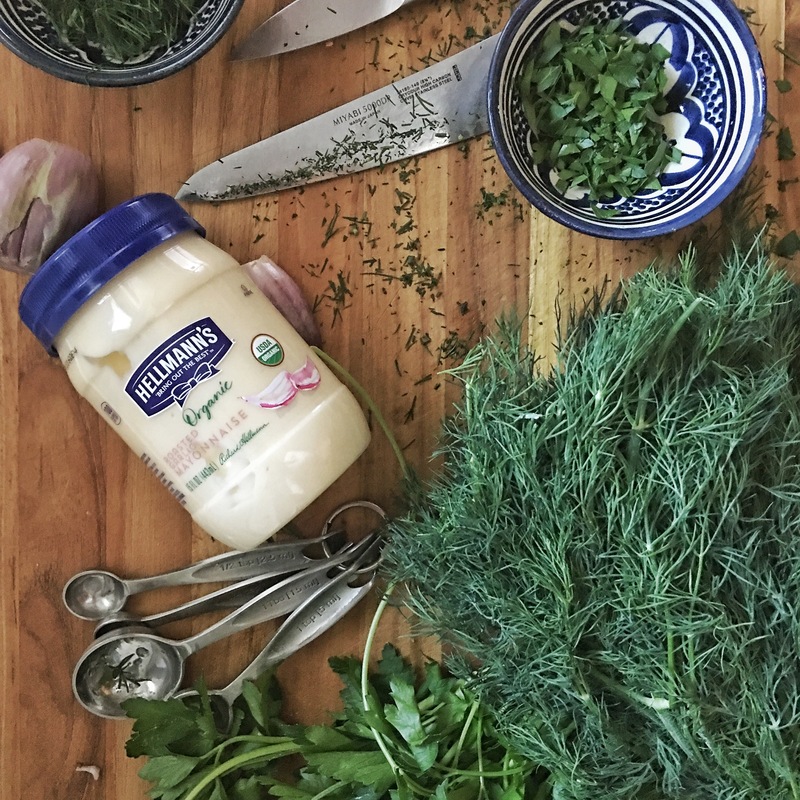 My love affair with mayonnaise runs deep - when I was a child, my grandmother used to always make ripe tomato sandwiches on toasted bread with a healthy swipe of Hellmann’s. I’ve been hooked ever since. It is no wonder that I was beyond excited to partner with Hellmann’s and The FeedFeed to write a recipe using the all new Hellmann’s Organic Roasted Garlic Mayonnaise - while it comes in three flavors (Original, Spicy Chipotle and Roasted Garlic), I just loved the roasted garlicky goodness that this mayonnaise added to this recipe. Going organic has never been easier and this new mayonnaise makes you feel good about the product you are using. 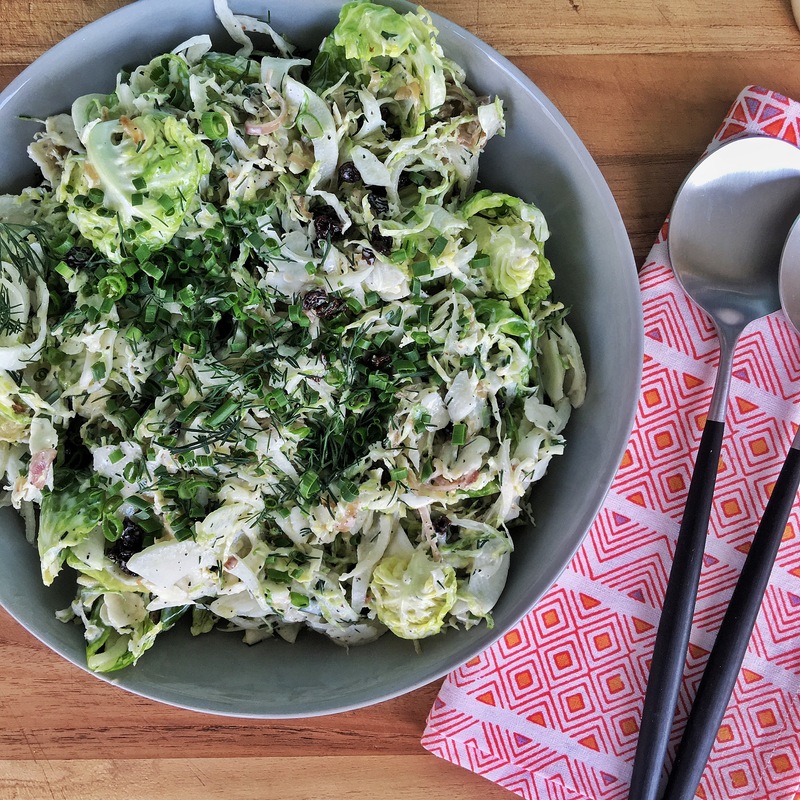 This recipe is super straightforward and will be a huge hit at your next BBQ or summer dinner party - using Brussels sprouts, fennel and caramelized shallots, the salad is hearty and satisfying. The perfect complement to grilled chicken or burgers. This recipe can be made the night before and only gets better with time spent in the refrigerator. Heat oil in a large, heavy bottom dutch oven - add shallots and salt and cook over medium heat, stirring often, until golden and caramelized - about 5-10 minutes. Remove from heat when cooked. 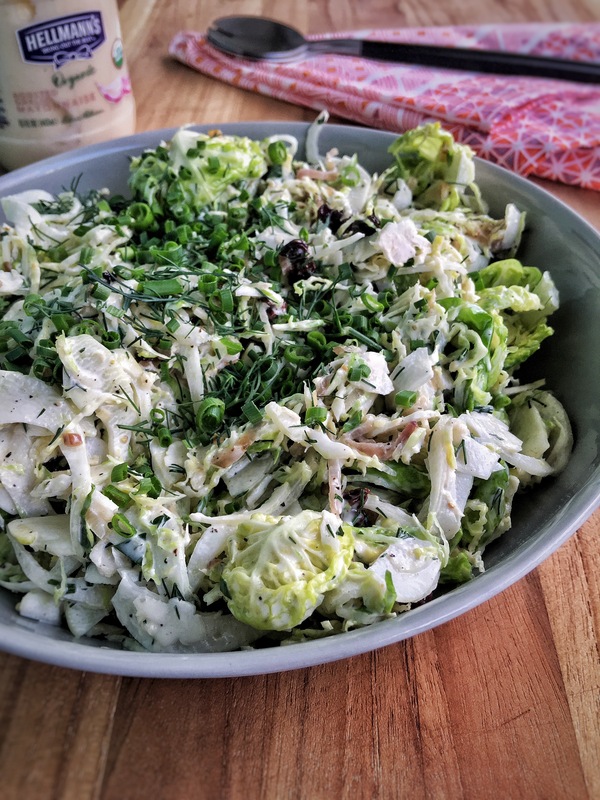 In a small bowl, combine Roasted Garlic Organic Mayonnaise, sugar, dill, parsley, chives, tarragon, oregano and black pepper - whisk to combine - add in shallots and gently mix - set aside. 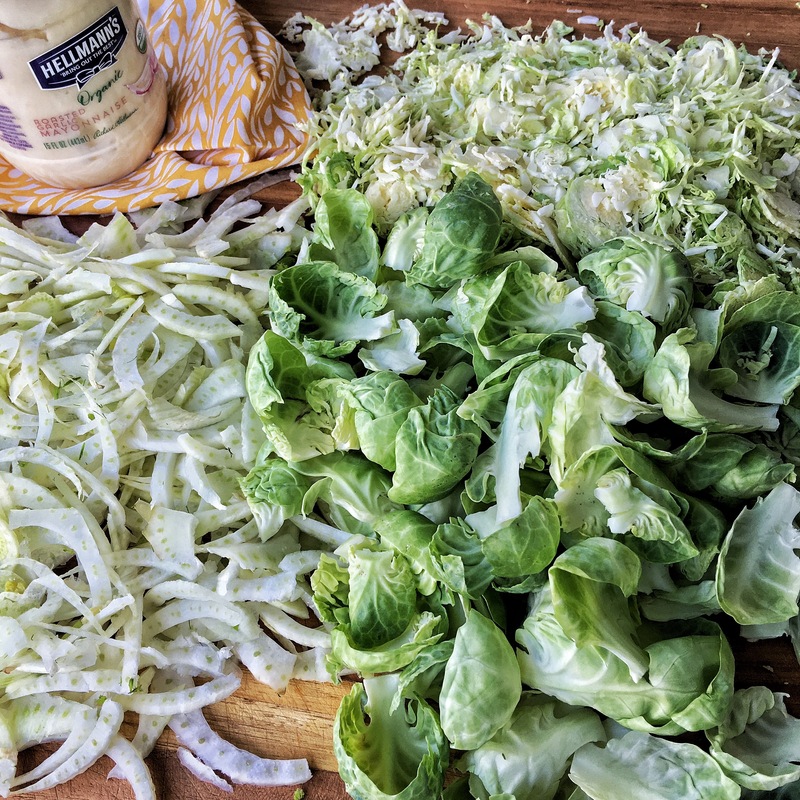 To prepare Brussels sprouts - using a small paring knife, remove outer leaves from the sprouts and place in a large mixing bowl - using a mandoline, shave remaining center of sprouts and add to bowl. To mixing bowl add sliced fennel and currants and gently mix (clean hands work best here) - add in dressing and toss to combine. Chill in refrigerator at least 30 minutes to allow flavors to develop and for the dressing to begin to soften the crunchy vegetables. Top with any remaining finely chopped herbs just before serving!